» Neiman Marcus: "Be Jeweled" runs Saturday through May 12, with a focus on the statement ring, one of the jewelry accessories of the season. View an array of attention-getting precious and semiprecious gemstones in the Designer Jewelry & Precious Jewels Salon, Level One, during store hours. » Sandal Tree, Ala Moana Center: Leocadia Eyre will debut her first Hawaiian jewelry collection, "One with the Sea," from 10 a.m. to 4 p.m. Saturday. 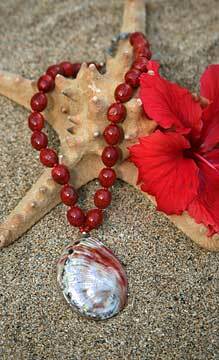 Eyre, an avid beader with a career as a registered nurse, displays her passion for seashells from around the world -- Hawaii, Africa, Mexico, Madagascar and Sebu -- in necklaces and bracelets befitting Hawaii's casual, outdoor lifestyle. Enter a drawing for a Leo Cadia Designs necklace, and check out the boutique's latest shipment of Icon accessories. Call 957-0300. » Shasa Emporium: The Kahala Mall store hosts a trunk show featuring Jewelry by Cari, 11 a.m. to 5 p.m. Saturday. Meet designer Cari Streeter, who creates hand-sculpted pieces in sterling silver and 14-karat gold with a brushed finish. 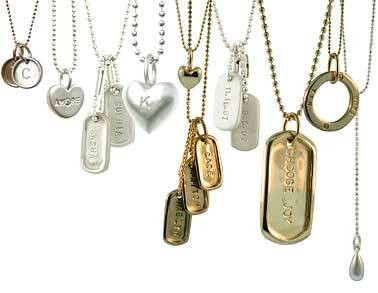 Pieces can be personalized on site with a hand-stamped name, date or message. Further customization is possible with detachable chains that allow pieces to be interchanged and layered. Call 735-5122.